Most people walk into a fitness facility with some idea of a goal they would like to achieve. That goal may be objective and measurable, such as losing 10 pounds. Alternatively, it may be more subjective, like feeling more energetic. As fitness professionals, we often ask new clients to set goals, because we know goals are important for exercise adherence and personal achievement. Researchers have found that the type of goals, the valuation of those goals and the plan for meeting these goals contributes to higher levels of motivation, commitment, and achievement. Let’s look at 3 types of goals: performance goals, process goals, and outcome goals. Performance goals are the goals with which you may have the most familiarity. Performance goals are longer term. While the research includes a wide range of time frames, long term is often used successfully for recreational exercisers to mean 6 to 12 weeks. If a client identifies his or her own challenging performance goal, values the goal, and has a strategy for attaining the goal, he or she will be more likely to achieve it. An easy way to think about performance goals is that a performance goal is the destination you enter on the GPS- you enter a specific address and you have a specific time to get there. Process goals are the directions on the GPS. These are step by step, short term, specific tasks meant to achieve an end. Once completed, they will put you on the doorstep of your performance goal. Process goals can be re-set session to session or week to week. As soon as each standard is met, a new process goal is formulated. The efficacy of process goals may be due to the more frequent positive reinforcement or may be due to the increased competence that comes with seeing progress. Individuals have the least amount of control in achieving these goals, because they rely on who else shows up and how these others perform. If the GPS metaphor is used here, outcome goals are highly affected by traffic, and most people find traffic frustrating rather than motivating. 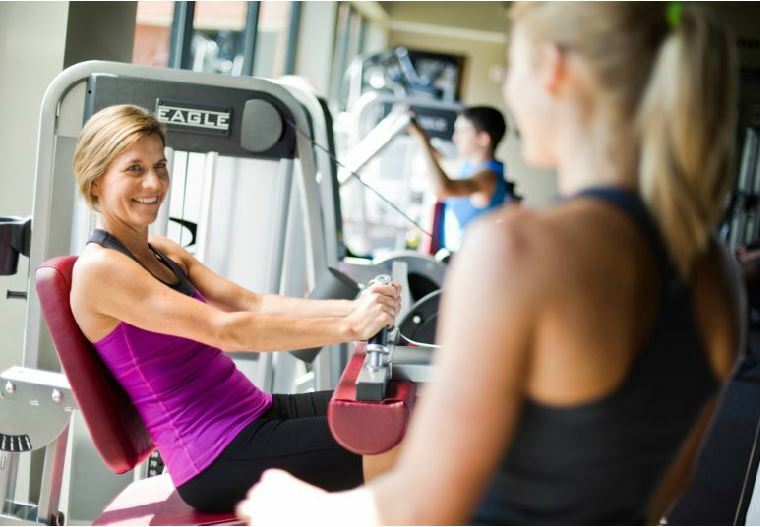 Our newest Cybex Blog, Kim Webster, contributor discusses the best way to work towards your goals. Having trouble sticking to your fitness goals? Use these tips to stay focused and on-track.